Regardless whether buyers are looking for a manor house in the country or an apartment in the capital, your home only gets one chance to make a good first impression so take stock of our top tips if you are looking to sell your property this spring. 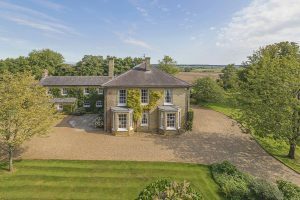 Church Farm is a beautiful Victorian country house, available through our Newmarket branch for a guide price of £1,950,000. If you want your home to sell it’s imperative you take some time to do your research. Before consulting an agent, the first step is to scope out the competition. Spring is usually the most popular, albeit frenetic, time for homes to flood the market so it is important to understand how many properties similar to your own are currently available in your area and for what price? How long have they been on the market for? If the competition is looking in your favour, the next step is to contact two or three agents who know your property type like the back of their hand. Each of the agents should be asked to bring with them comparable evidence of similar properties they have sold in the last two years to support their suggested guide price as it not recommended that sellers go with the highest value or the lowest agent fee but the one who is most credible. High quality photography that showcases the best features of your home is a crucial part of your marketing toolkit, as imagery will inevitably form the basis of a potential buyer’s first impression of the property. 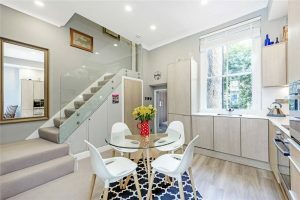 Good photography is the difference between a buyer continuing to walk by the estate agency window without a second glance, or simply scrolling straight past the property online, and actually booking a viewing. If you first launched your property during the winter does your current photography feature Christmas decorations, a grey sky or even snow? This will all suggest that the property has been on the market for a while and so enlisting new photography is a must. If your home benefits from acres of sprawling greenery or even a quaint courtyard full of bright potted plants, spring is the perfect time to show them off. A front garden will be the first thing a potential buyer will see so making sure any trees or bushes are pruned beforehand is vital. The back garden is equally important however and should be mowed, free of weeds and boast beautiful full flowerbeds. Bringing the garden inside can also be a nice touch during a spring viewing. Placing a bunch of freshly-picked tulips or daffodils in the kitchen will add some colour to the space. even work as a conversation starter when leading potential buyers to the beautiful manicured lawn and flowery borders. Be sure to keep an eye on them though. While fresh flowers can do wonders to attract the attention of potential buyers, wilting flowers are sure to do the opposite. Check the vases often and replace the water and flowers when required. If you have the space, potted plants will last much longer. Keeping a clean home is vital regardless of the season, but spring is a great opportunity to make any necessary updates that you have been putting off during the winter. Cleaning the gutters and windows, polishing the letter box and checking the doorbell works are all great ways to make a good impression but you mustn’t forget about the interiors, especially if there are rooms that aren’t used frequently. Brush away any cobwebs and replace any worn out furniture. Apartments and smaller homes should also be clutter-free as the last thing you’ll want is a potential buyer tripping over a children’s toy or opening a cupboard door to find it jam-packed with keepsakes. By clearing out all your clutter now, you will also save time when it comes to moving – a win, win situation! If you don’t have time to bake a loaf of bread or cookies before every viewing open the windows to let some fresh air in and invest in a diffuser or your favourite scented candles. Avoid cooking strong, smelly foods the night before as they can linger on your curtains. You might not be able to smell it but the viewers likely will! For further advice and top tips on how and when to launch your home to the market this spring, contact your local Jackson-Stops agent.